The Lure of Sea Glass includes stories people have told LaMotte about their search for meaning in sea glass. It also features poetry, quotations and artwork that transport readers into the emotional side of sea glass and inspire them to continue their quest for seaside gems. 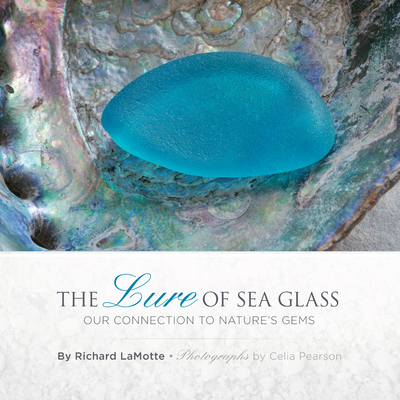 Exquisite montages of sea glass by noted museum and gallery photographer Celia Pearson beautifully illustrate the words on the printed pages. The 204-page book explores the identification of rare sea glass shards, and describes and pictures the specific characteristics of collections from 14 coastal regions throughout the United States, from Maine to Washington State, including two Great Lakes regions. It also offers additional information about identifying historic pieces from our past, and takes a thoughtful look at the future of sea glass.